Break out the Silly String. 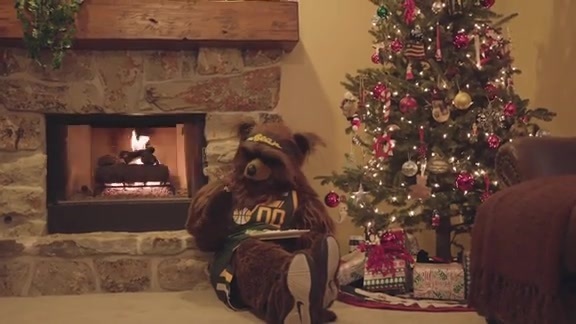 Jazz Bear has been named the NBA’s Mascot of the Year for 2018. 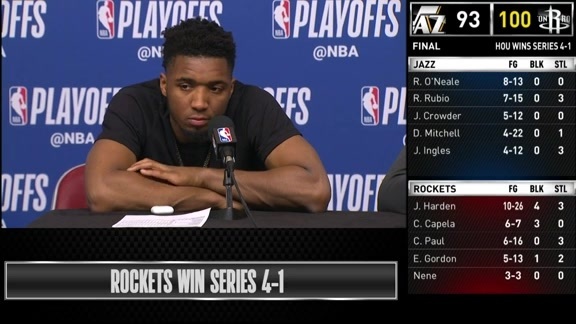 This is the third time the beloved Utah Jazz mascot has won the award since the league started handing out the honor in 2005. Bear had previously earned the honor in 2006 and 2008. Stuff the Magic Dragon, of the Orlando Magic, won the award the past two years. The Jazz and Bear were also recently honored by the Information Display and Entertainment Association for having the best in-arena mascot video—a demolition derby battle between Bear and the Phoenix Suns Gorilla—in professional sports last year. In addition to being named Mascot of the Year, Bear won two other awards at the NBA Mascot Conference. 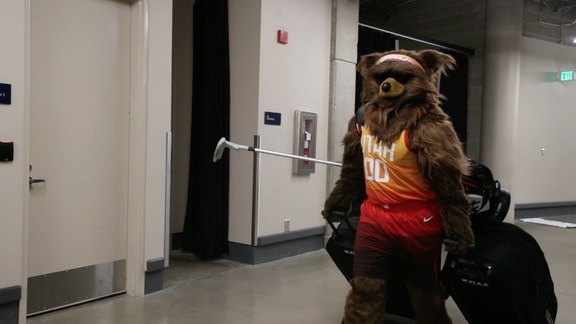 Bear’s virtual reality trip into the world of the Jedi, a video produced by the Utah Jazz Digital Team, earned the NBA’s Mascot Video of the Year. And for the ninth time in his career, Bear was given the Mascot Leadership Award for his willingness to mentor and help other mascots around the league. Bear debuted as the Utah Jazz’s mascot in 1994 and was inducted into the Mascot Hall of Fame in 2006. Over the course of his 24-year career in the NBA, he has helped raise more than $1 million for charitable causes and has used an estimated 55,000 cans of Silly String.